We often think of first impressions from a decorating perspective when we are trying to sell our home. As a decorating company that offers exterior painting as a service, we often get the call to come and spruce up someone’s house before they put it on the market to hopefully try and sell it. It’s all about kerb appeal but have you ever thought how as a business, this same type of appeal is just as important? You only get one chance to impress a potential client. 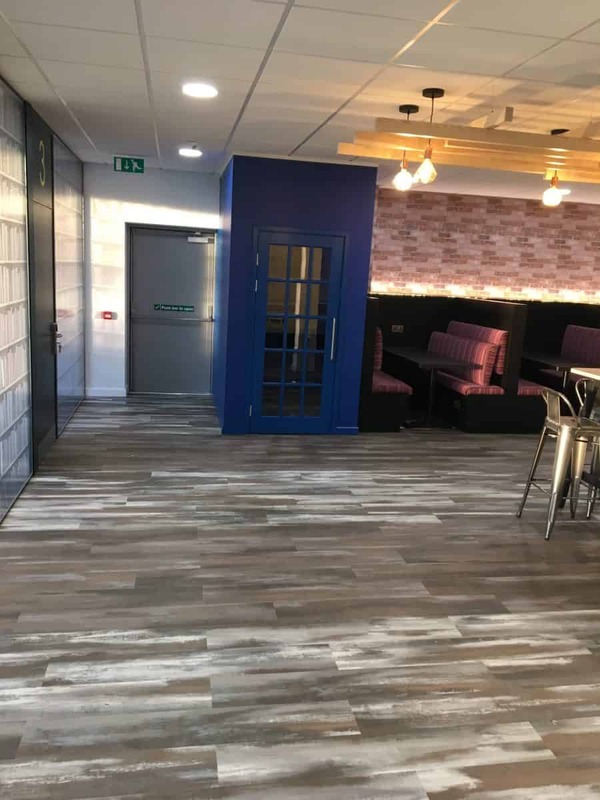 Here at GPS Decorators we’ve been providing commercial decorating services for 22 years and we think we know a thing or two about helping you make the best of your premises. Preparation – First and foremost, have a good tidy up before you start to even think about decorating. It’s amazing how a good declutter can have a positive effect. Dead head plants, clear our planters, remove old promotional material, clear and sweep any public pathways, clean the windows. Brand & Signage – Does the exterior of the property clearly signal to your visitors who you are? Do you have a sign? If you have, is it up to date? Often, businesses don’t update things like signage when they update their brand but this can be very confusing to potential clients. Are you recognisable to passing trade with the appropriate colours and your logo? Keep it Fresh – This is our part where we can help. Applying fresh coats of paint to the exterior painted areas of your premises can really bring your business to life again. Nothing sends a more negative and unapproachable signal like graffiti and sad, peeling windows and door frames. Use contrasting colours for visual appeal will help your business really get noticed. Outdoor Areas – Make sure any outdoor space gets the same care and attention. Regularly do a litter pick if this is a problem. Don’t leave dead plants in borders. Better to have none than a border of unloved plants or, worse still, last year’s dead pansies! Create A Check List – Once you’ve paid all this attention to the exterior of your business premises it’s important and much easier to maintain if you keep on top of it and stay consistent. A simple check list will help you do this. Don’t stop it once you’ve started. It’s also a good idea to engage your employees if you have them. 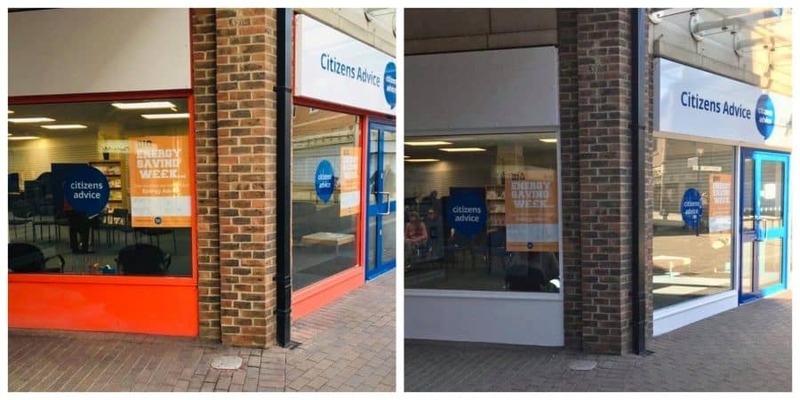 If everyone works together to project a positive image of your business then this promotes a happy working environment, too which any potential customers will like to see. We offer competitive rates for all of our commercial interior and exterior painting projects and are backed by the CHAS accreditation scheme. We will provide you with a free, no obligation quote. Please call 01642 860585 or get in touch via our contact form and feel free to ask for advice about your next decorating project. 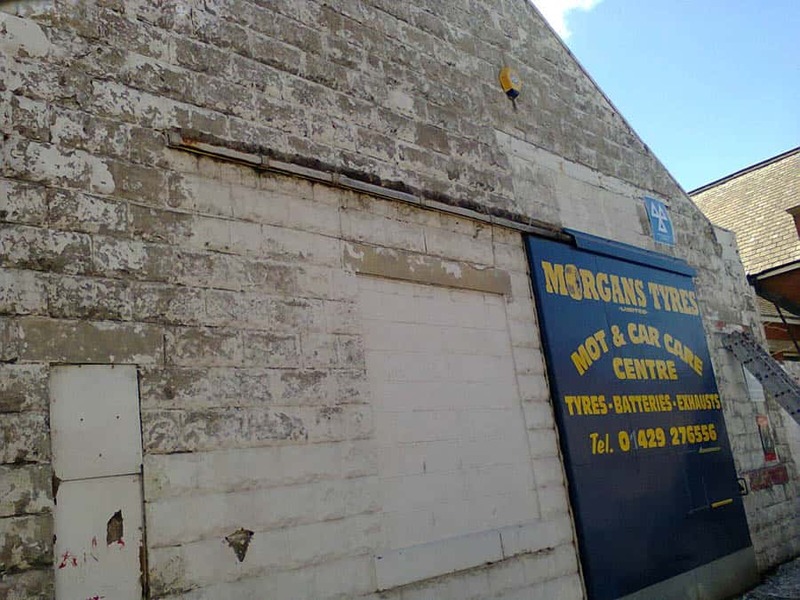 Our commercial painting and decorating projects take us far and wide across Teesside. We thought we’d use our new blog to showcase some of the recent work we have carried out across the region. 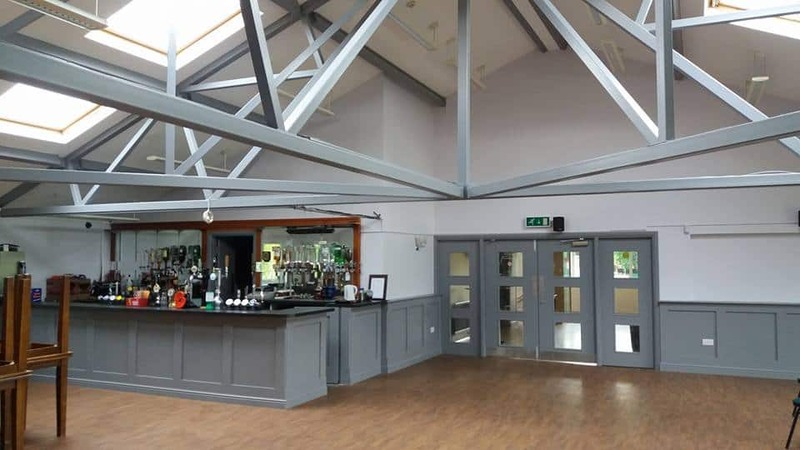 The brief for us at Billingham Rugby Club was to carry out a full redecoration of the main function room after all their new joinery work had been carried out. The paint specification was White Matt ceilings, Dulux Diamond Matt Deep Fossil walls along with Dulux Diamond Eggshell Frosted Steel woodwork. We had five days to carry out the work Monday -Friday as there was due to be a function on the Friday evening. The use of cutting-edge water-based paints ensured there were no fumes and drying time was kept to a minimum. The project was finished by the Friday lunchtime. This ensured enough time was allowed to get the room ready for the function that evening. This property was badly in need of some attention. After the preparation there wasn’t much of the original paint left on the wall. A coat of Stabilising solution was applied to produce a nice surface to apply the two top coats. Two coats of Pilolite based masonry were preferred to the cheaper water based masonry products. This is because Piloite is shower proof in 20 minutes and can be used in temperatures as low as minus 4 degrees! It sticks like glue as well! All the doors were prepared and given a coat of undercoat and gloss in previous colours. Due to the nature of the premises the work had to be carried out on the Sunday and the Monday when closed. This project was completed within the timeframe. This was a very detailed project lasting approx. 6 weeks. The specification was to use the previous colour scheme utilising Johnstones Flexible undercoat and gloss system. The work was carried out to a very high standard burning off where necessary. The biggest challenge was the original Fox Alms sign which crumbled in places after preparation. However with a mixture of expanding foam and rapid drying fillers it was brought back to life and finished off with some traditional fine painting in the sunken text. The carpark access ramp desperately required some TLC. This work had to be carried out in the middle of the summer last year due to the car park hours of 7am -7pm. This required four evening shifts from 7pm to 9:30pm. 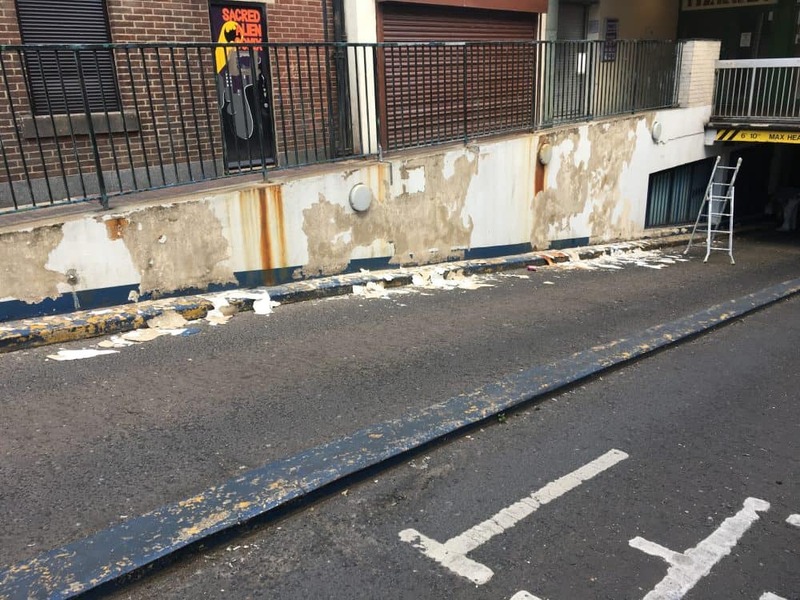 The project involved preparation of masonry walls using a Stabilising solution on porous surfaces and stain block on rusted stains. 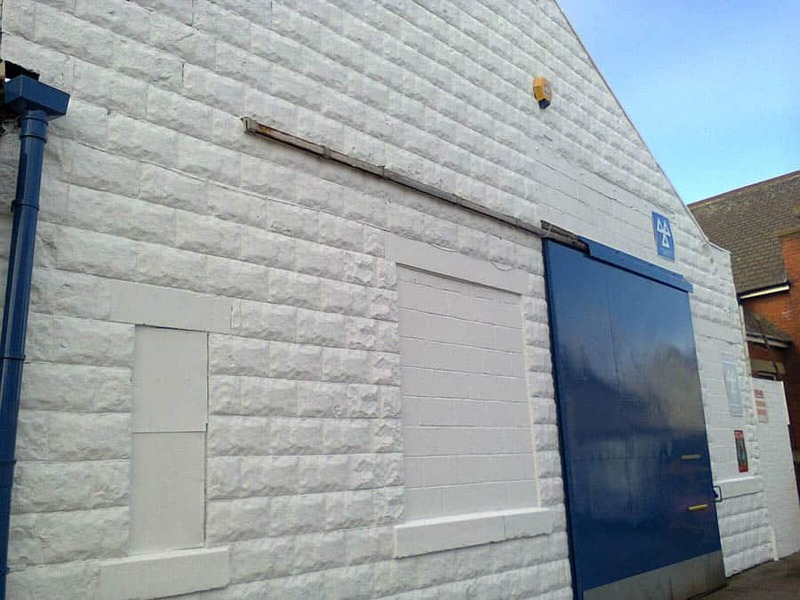 Pilolite based masonry was utilised due to it’s adhesion properties. 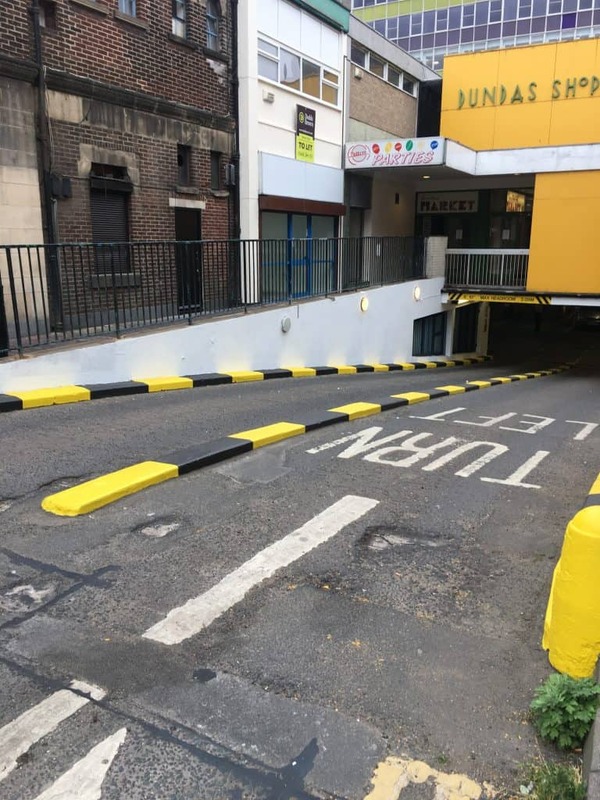 The kerbstones were marked out evenly with black and yellow sections and painted with Rust-oleum Tarmacoat which is a very fast drying multi purpose floor paint. This was a very high-end project with lots of dry lining partitions as the open plan office was redesigned to accommodate lots of private businesses. We used our latest spray technology to achieve a fabulous finish on the walls and our elite Satinwood for the woodwork. The wallpapering was Textura and was fabulous to work with. The most challenging aspect was the open plan stairwell where a stair tower had to be erected and dismantled to facilitate the work. The project was over a six week period working with the main contractor and other trades completing on time and on budget. 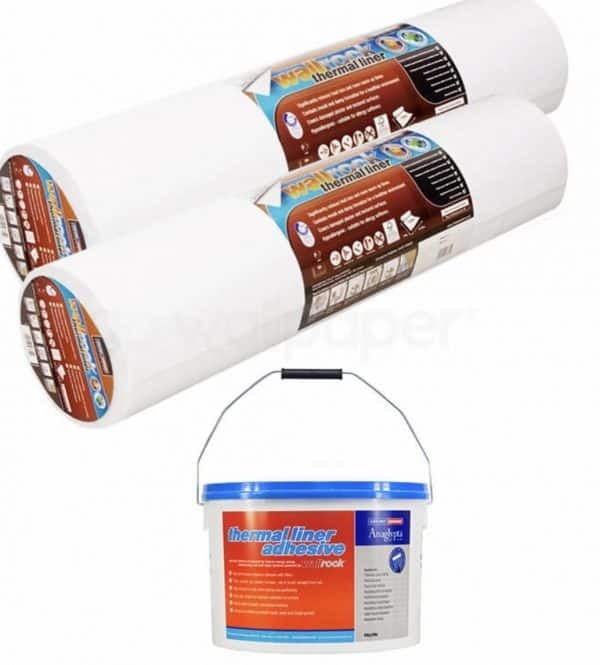 GPS Decorators Limited are a family ran painting and decorating company founded in 2002. Based in Billingham, our customers are predominantly across Teesside and the North East of England covering a range of commercial and domestic projects. As we continue to grow, our commercial work is taking us further afield with decorating projects throughout the UK. We always strive for perfection in everything we do. It made sense that we would want to verify our work with professional accreditation where it was available. Along with attention to detail on all of our decorating projects, it’s always very important for us to offer the highest levels of safety and security for our clients. That’s where joining the CHAS approval scheme was a good next step for us. 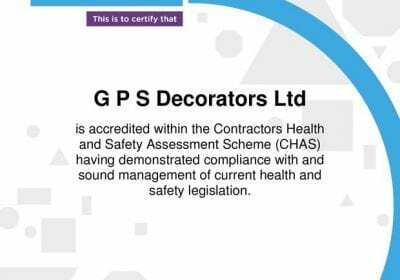 CHAS stands for ‘Contractors Health and Safety Assessment Scheme’. It was created in 1997 to improve health and safety standards across the UK. Our safety policies and processes went through rigorous examination by a CHAS assessor. They also had to be satisfied that we kept full and concise records. 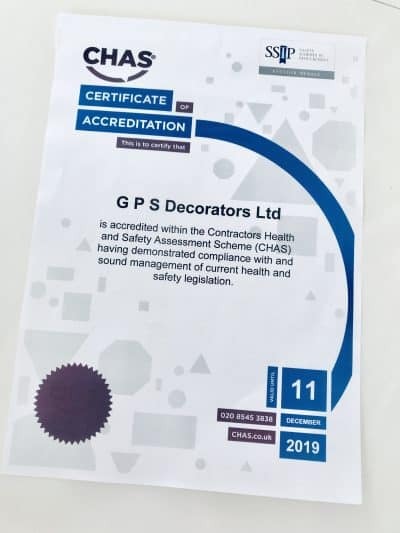 We are happy to report that we passed with flying colours and this allows us to use the CHAS logo on our letterheads, livery, promotional materials and website. We also have a hard copy certificate that we can show when we are in the procurement process for commercial contracts. 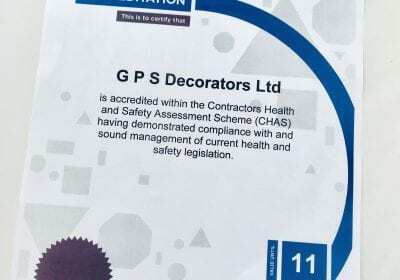 It’s important for GPS Decorators to gain accreditation wherever we can. We think it’s a valuable trust signal to all our existing and potential clients. We believe in investing in our team and our business. It’s important to stand out wherever you can and if we already adhere to stringent codes of conduct and processes then it makes sense for us to strive for that next level of service. 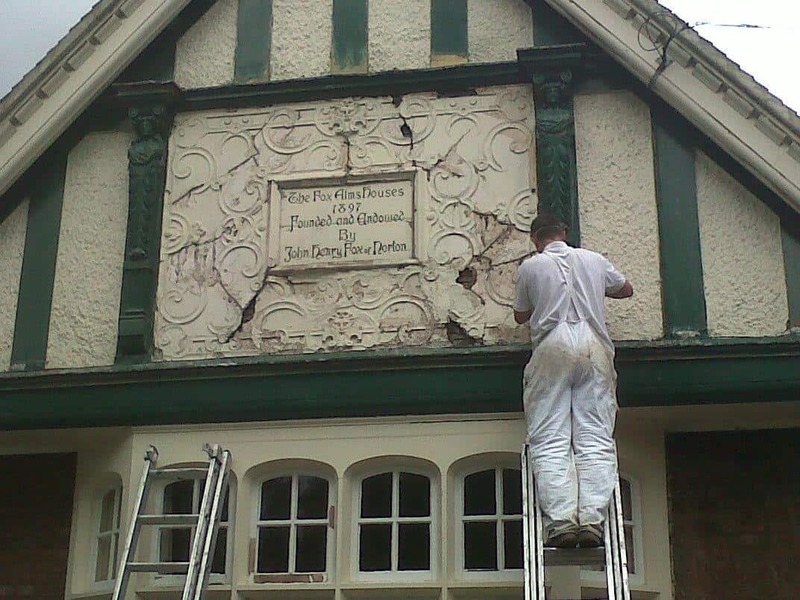 “Our decorators have been capable of delivering big projects for quite some time. However, to enable us to tender regularly for commercial contracts we need to prove that our health and safety policies are adhered to and fit for purpose. The CHAS Accreditation shows that we are competent company to whole of the UK , for both commercial and public sector work , as this is an area that we are looking to grow our business.” Graham Porter, Director. When we bid for future jobs it will also help in the bid process. Many companies only work with contractors that are CHAS registered. 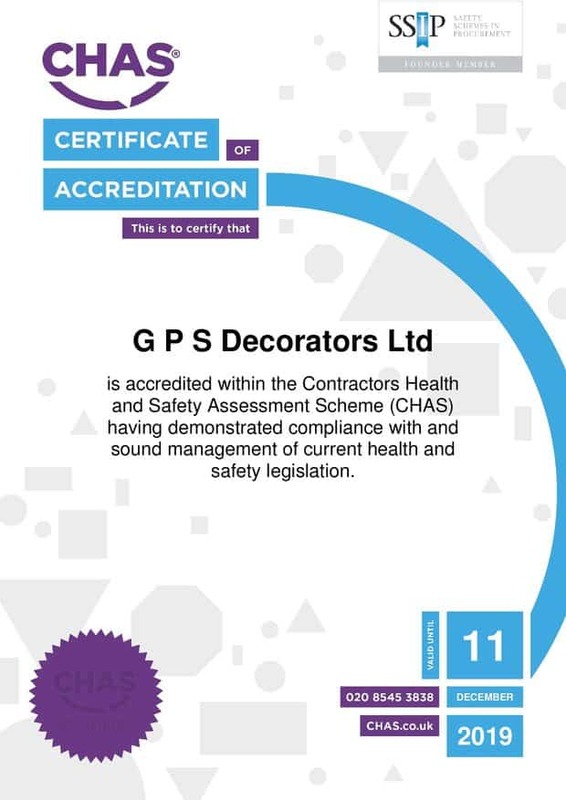 Requesting CHAS certifications can save time, as a company with CHAS accreditation will already adhere to many requirements the company has, certainly in terms of Health and Safety. We are looking forward to working with CHAS and making the most of all the information and benefits available. Please get in touch if you would like to speak to us about a commercial decorating project.